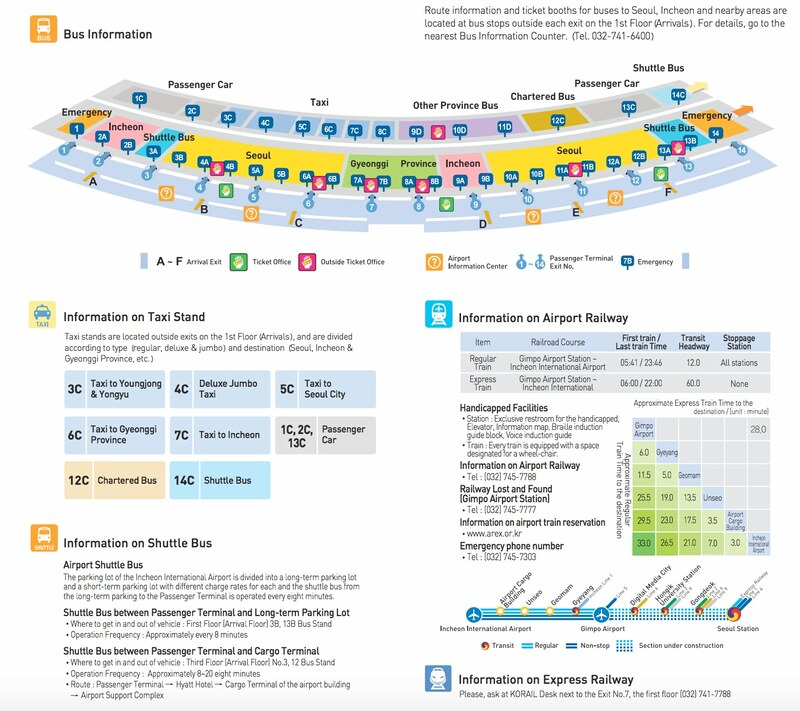 Netdev | Netdev 2.2 - Travel Info. Foreign attendees might need an invitation letter in order to obtain a visa to get into Korea. Consult Visit Korea Website's Visa & Customs for more information. After you have registered, we can issue you an invitation letter on request. Send an email to info@netdevconf.org with a request for a letter. Once we obtain required information we will create an invitation letter, print & sign it and send it to you by postal mail. International Visitors can usually reach Seoul by plane to Incheon International Airport located 48km (30mi) west of Seoul. Opened in March 2001 Incheon Airport(ICN) handles about 90 airlines throughout 186 cities to handle 34 million flights per year serving 57 million passengers. The Arrivals area is located in the Second Floor of the Concourse and the Departures area is located in the Third Floor of the Concourse. Internet Cafes by Cafe Bene offers free internet access in the 2nd Floor East & West Wings as well as 3rd Floor Duty-Free Area. Computers with internet access are also free to use in the Internet Zone in East and West Wings, 24 hours a day. 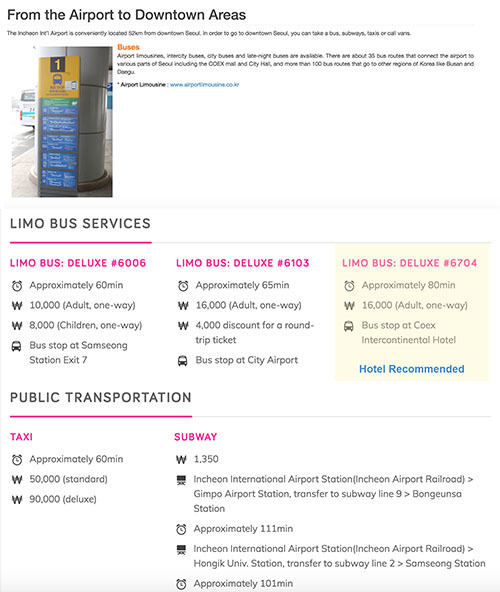 There are many public transit (bus, subway, KTX, shuttles and airport limousine) in addition to taxi to move between ICN and various parts of Seoul. 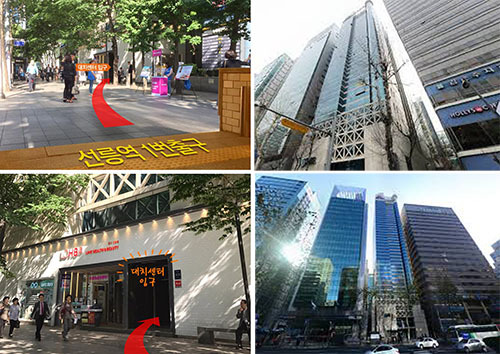 Spaceshare Daechi Center, also known as Seolleung Daecheon Center, is located 10 seconds from Exit 1 on Seolleung Subway Station. Reservation Rule: To receive conference rate, download this form, complete it and email to mice@ambatel.com as listed on the form. 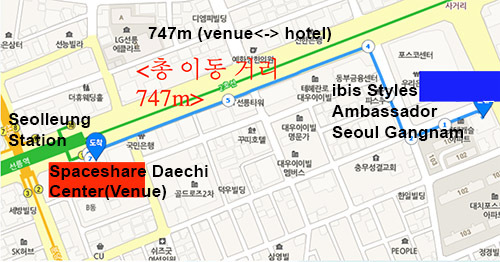 You will receive reservation completion email directly from the hotel. 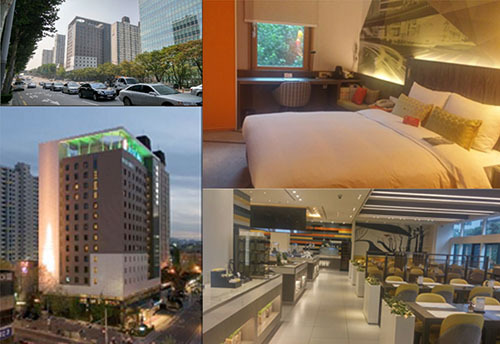 Set in the upscale Gangnam District, this trendy, modern hotel is an 8-minute walk to the shops of COEX Mall and a 13-minute walk from a metro station providing service to the Central Business District.